I was just sitting on the couch, nursing Peter and thinking about how chaotic things can get around here. Johnny was rifling around in the kitchen and I *knew* that yelling at him would wake up baby but who knows what he is doing (the possibilities are scary and endless.) The girls were playing on my bed where I meant to put down dozing baby and I needed to ask them to get out via yelling, too. And now the baby was asleep and I needed to yell in two directions. Dilemma. I felt so sorry for him that he was snacking on this horrifying combination of goat cheese and almond butter that I stopped being annoyed at how stuckonthecouch I was. But I appreciated how totally happy he was to be eating it. And I laughed at how completely............ um......sick it looked. 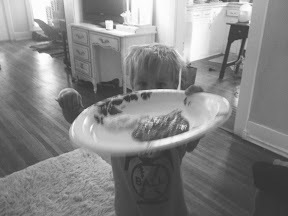 But he had done it, he had found a flowery paper plate to put it on and he was really proud of it. He even offered me a bite. 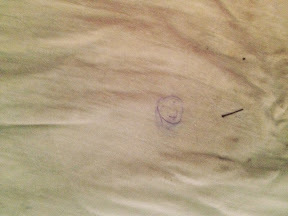 Some had (obviously) drawn a little happy face on the sheet that was now pee-soaked. I imagine the pen ink really stood out because the sheet was wet. Maybe I wouldn't have even noticed it there had it not been peed on. For one, it made me laugh. And for two, it reminded me that there are really good things all around us and that kids tend to see them the most. It reminded me that being around them can help us to see the good things, too. Anyway, all this to say, my friend, Kate, wrote an awesome post on gratitude. I read it just before Johnny whipped up his b-fast of champs and I'm *positive* it influenced my response when he presented me with his solution to me nursing coffee/baby instead of feeding him. So, get out of here. Go read it. It's Monday, y'all. Let's get our week on. 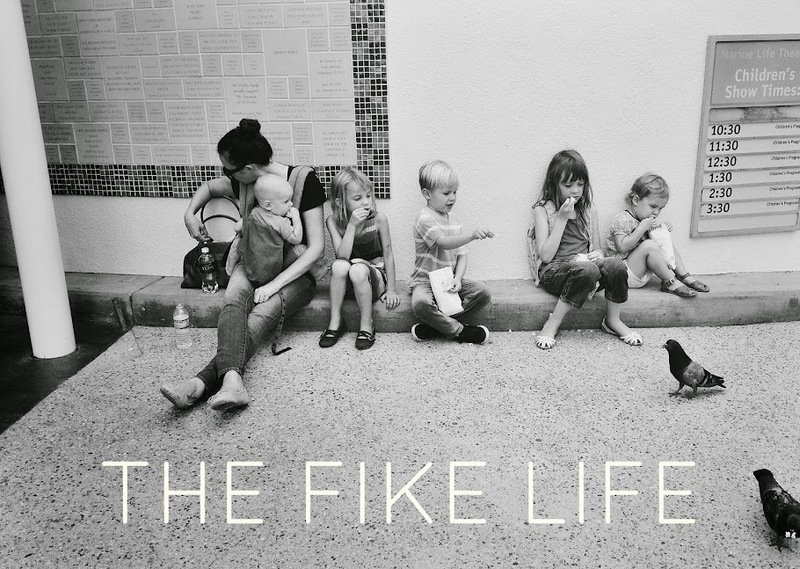 Always a pleasure to read your blog Blythe! Inspires me that more babies are in my future and, while I feel crazy right now, there is beauty in the fact that I don't always get out of my pj's , or forget that project I started to tend to Liv because im making memories with my daughter. That is life, that is love and that is happiness. Your blogs help me remember that. Thanks for the shout out! You're basically my parenting guru so any joy I bring to your life is a total fist pump. "Barbie recreations are OK on the off chance that they convey young ladies to PCs, which begins them investigating a wide range of different things,"
I never get bored while reading your article because it becomes more and more interesting from the starting lines until the end. Look for a guy can make you happy, start from small things. One who will hug you tightly from behind and nuzzled up to you to whisper sweet nothings.